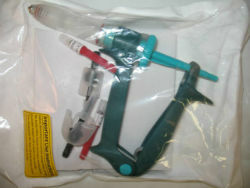 12 ml automatic self-filling syringe comes complete with tubing and bottle attachments. Dose up to 12 cc in .5 cc increments. Use for Ivomec® and other low dose products.